How can I tell what Dana I have? 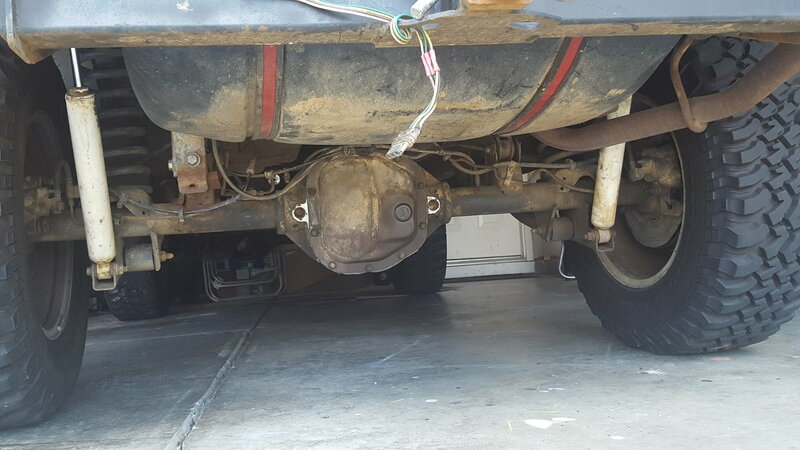 I was told it is a Dana 44hd. I'm not sure if that is the aluminum center Dana? Its a dana 44a its the only 44 offered in any grands,And its a v8 95 and newer you got it the 44a in it. Yeah, I was going to say that judging by the shiny flanges sticking out from under the cover. It looks like someone just did a fluid service on it. I actually had it rebuild about 2 months ago. I didn't know about the aluminum center at that time, not sure I would have spent the money on it. Oh well, it's good now anyway. Just keep in mind the aluminum case will spread if torqued too much. There is tremendous pressure on the gears and the carrier bearings tend to move the ring gear away from the pinion, increasing the gear lash to the point of gauling the teeth. The pinion tries to move forward against the front bearing doing the same thing. It's a great axle for a road car, but not for drag racing or heavy offroad use. A truss should solve the problems the aluminum center can cause? Will a truss make it possible to do a good amount of offroading? I probably won't do extream rock crawling but I would like to do some climbing. The guys at mail crawlin swear you can run 37s and rock crawl with it trussed and skid plated.And those guys do build some insane crawlers out of the grands over there.